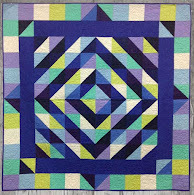 While looking through photos from our trip to the 2011 Houston International Quilt Festival, we found some real gems that we have never posted before ! 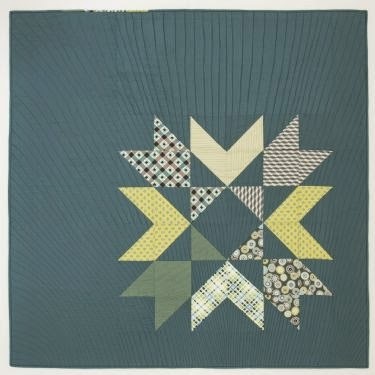 Here are some very creative, contemporary quilts from the festival four months ago, in November, 2011. 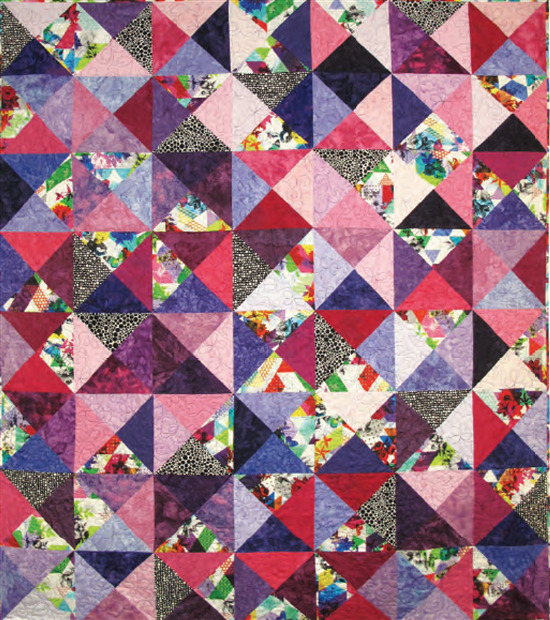 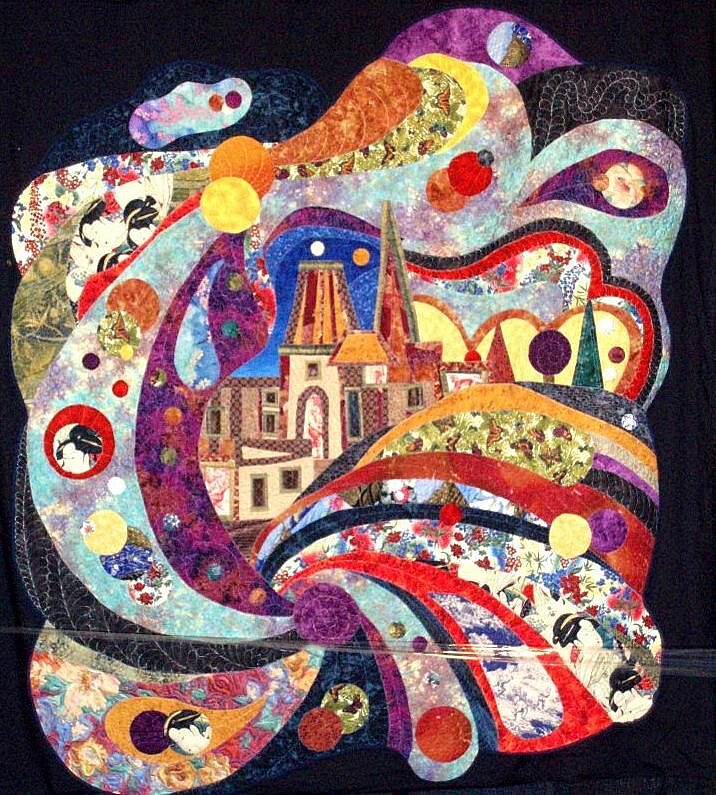 Inspired to make this quilt by her collection of beautiful fabrics collected from her travels, Sue writes, "Journeys in Fabrics was created to remind me of the wonderful memories from my travels to various countries. 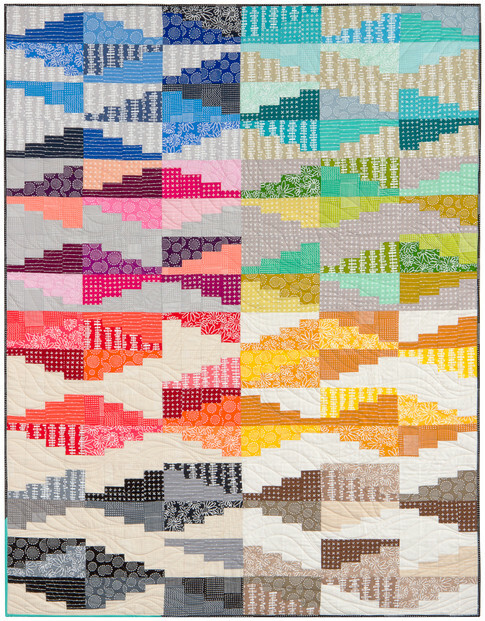 I also wanted this quilt to reflect movement and give the feeling of traveling from country to country using all forms of transportation." 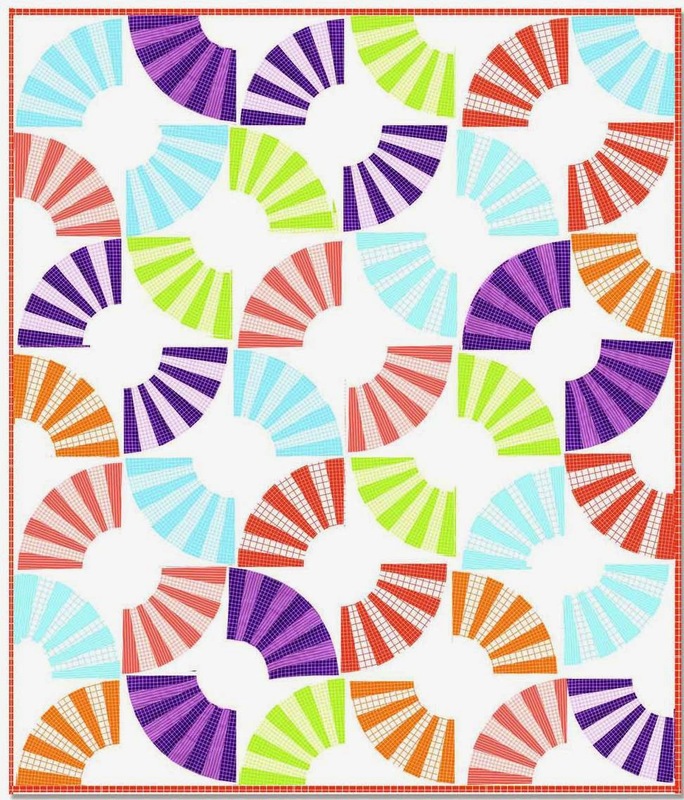 The curved road immediately creates a sense of motion in this piece. It serves as a lead-in to the focal point of an ancient castle surrounded by magical swirling clouds. 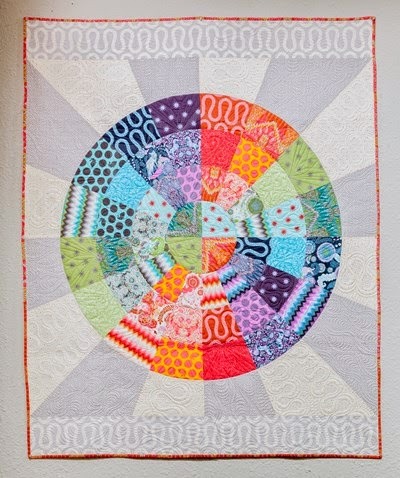 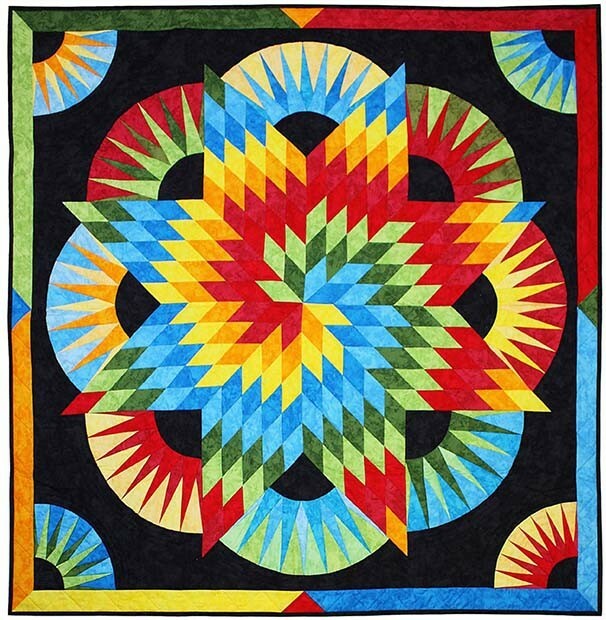 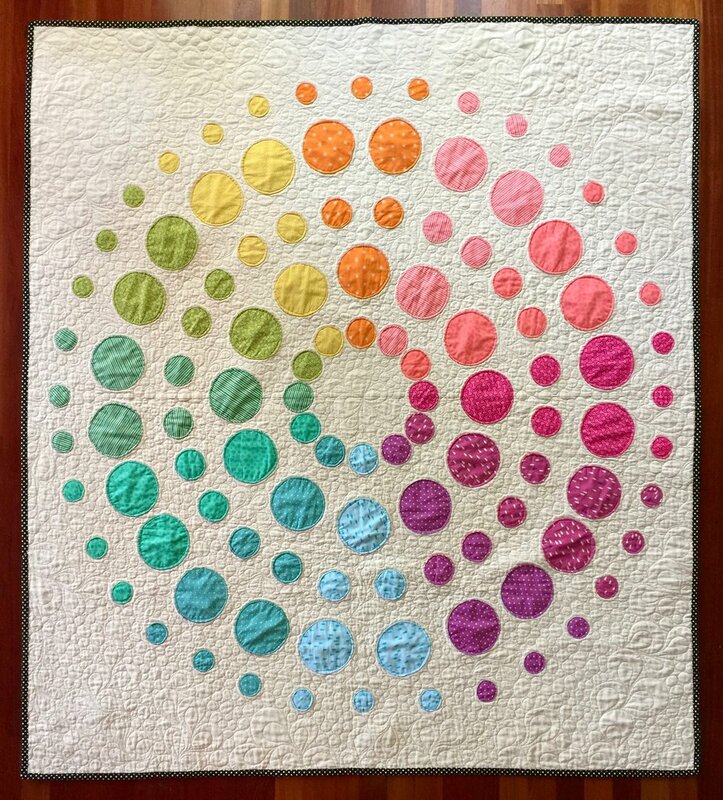 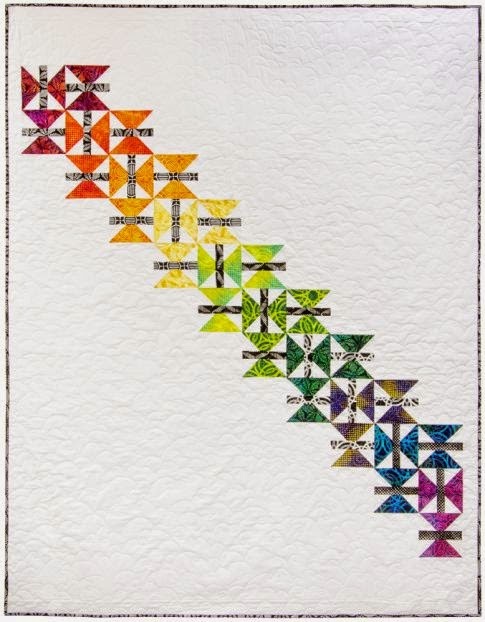 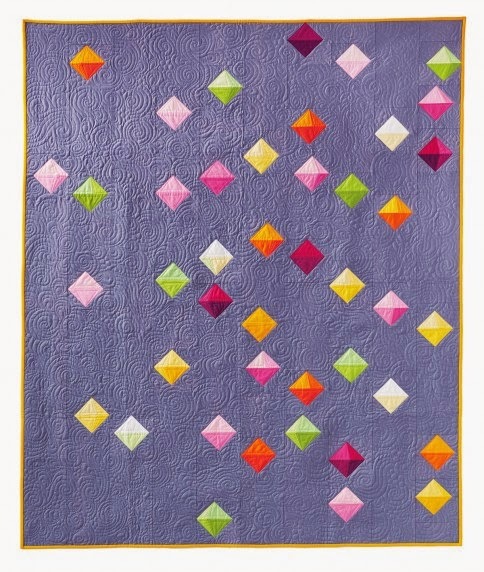 Hand and machine pieced and appliqued, and machine quilted, this work gives us the feeling of embarking on an enchanting, very colorful adventure. 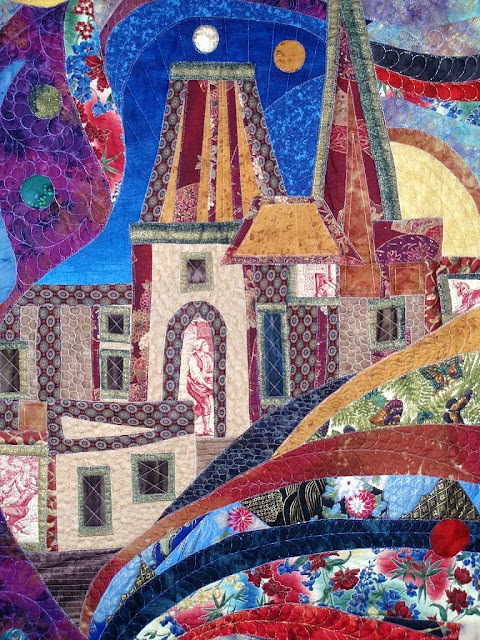 Click on this close-up to enlarge it, and you can see some of the fascinating details of the castle, such as the fabric printed like a Renaissance woodcut, sewn into the windows and doorways. 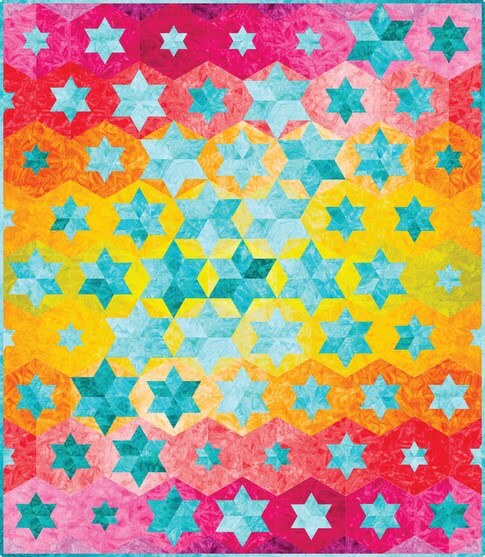 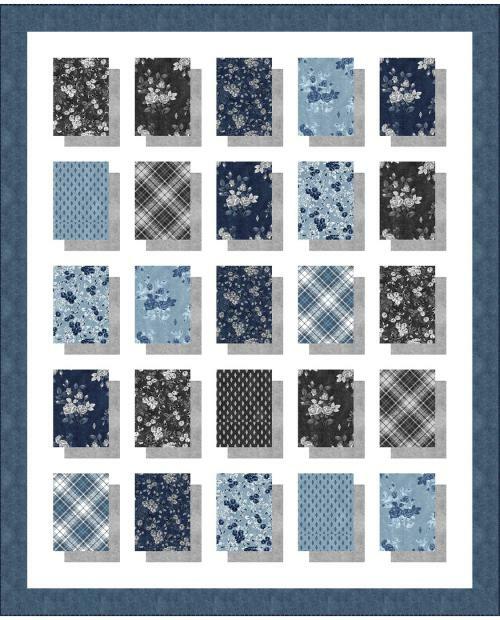 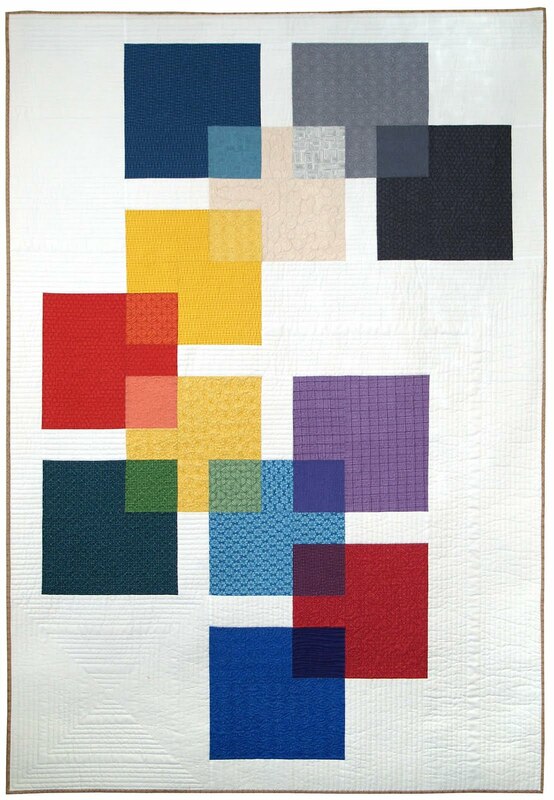 Notice how each piece of fabric is individually quilted to create a three-dimensional effect. 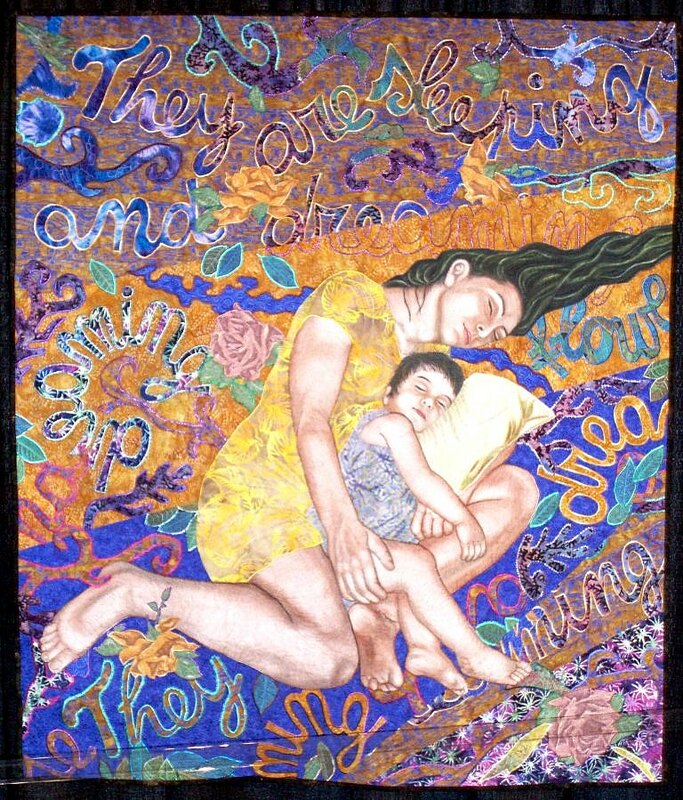 This intriguing, beautifully hand-painted and appliqued quilt depicts a young mother and her daughter in deep repose. 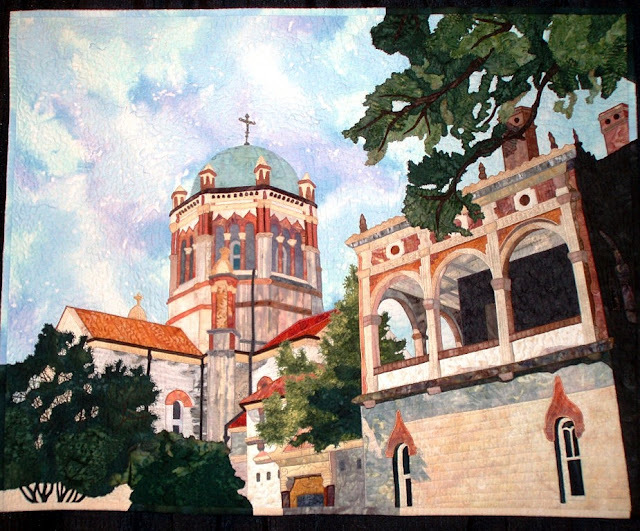 Sonia says, "I've tried to interpret dreaming using contemporary techniques. 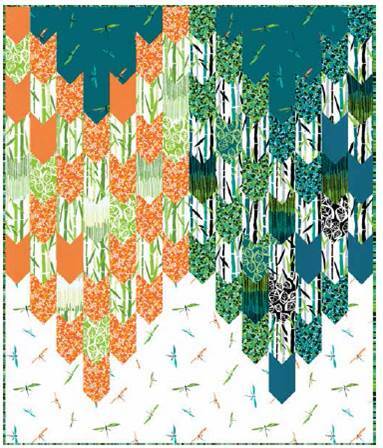 The background is made up words and letters which show how language is an important part of our dreams." 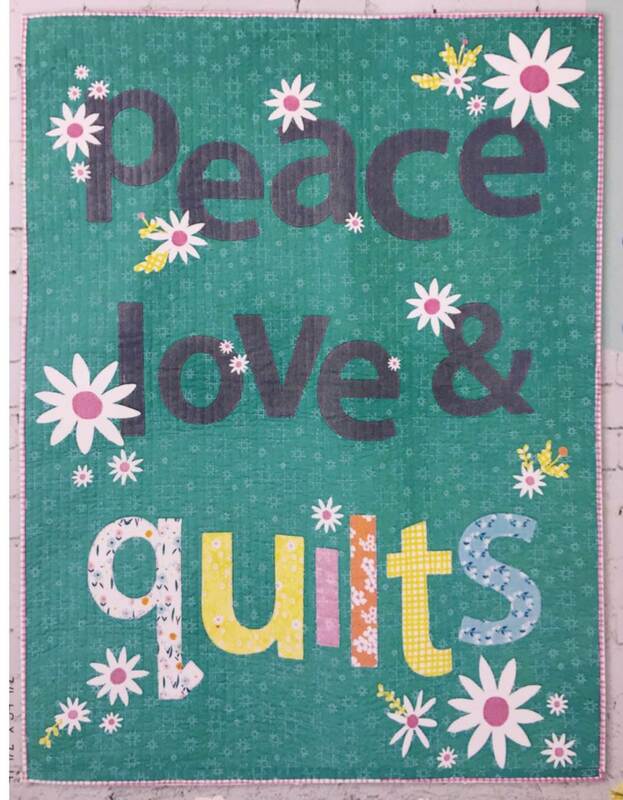 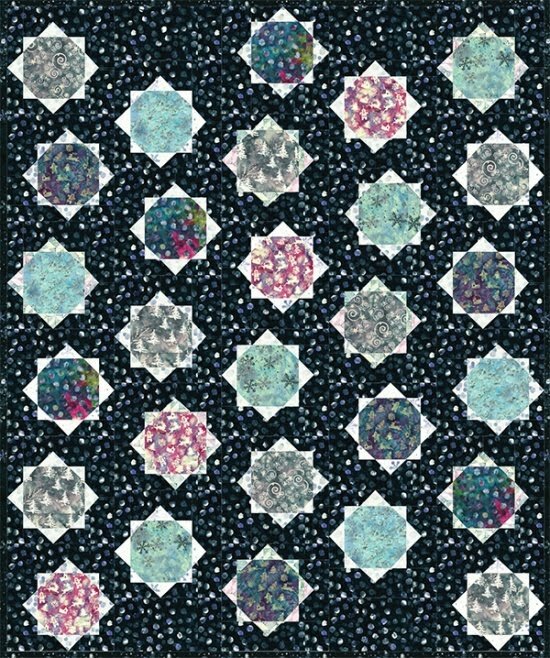 If you click on the quilt to enlarge it, you will see the mother and daughter surround by the appliqued words which almost seem to float, "They are sleeping and dreaming." 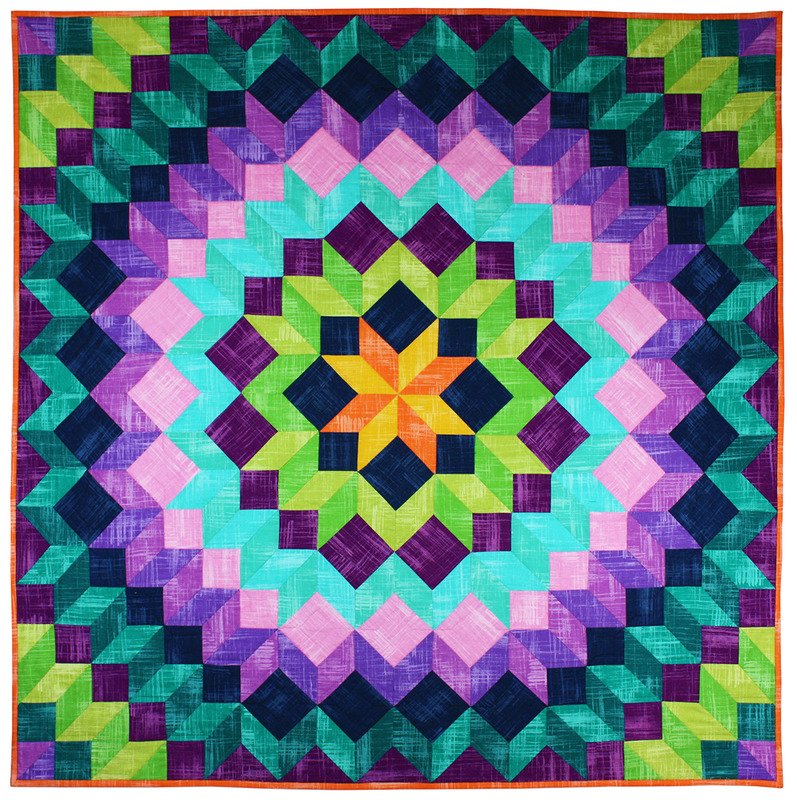 This quilt impressed us as as having one of the most innovative and original themes at the Houston Festival. Intricately and immaculately machine appliqued and machine pieced, Susan's art quilt was part of the "Tactile Architecture" mini-exhibit, a show-within-a-show at Houston, featuring quilts with theme of exteriors of buildings or monuments. 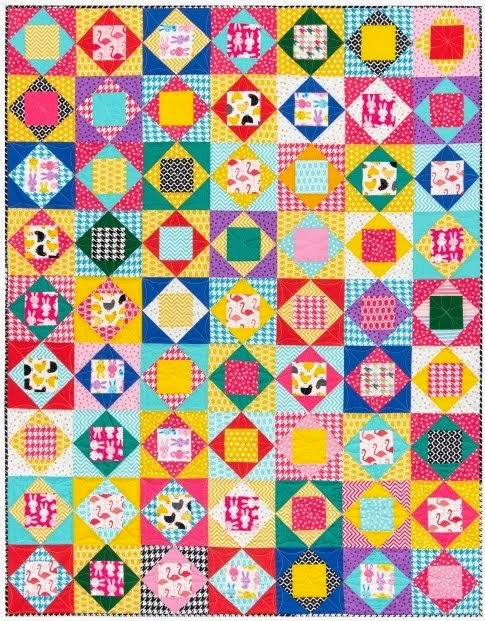 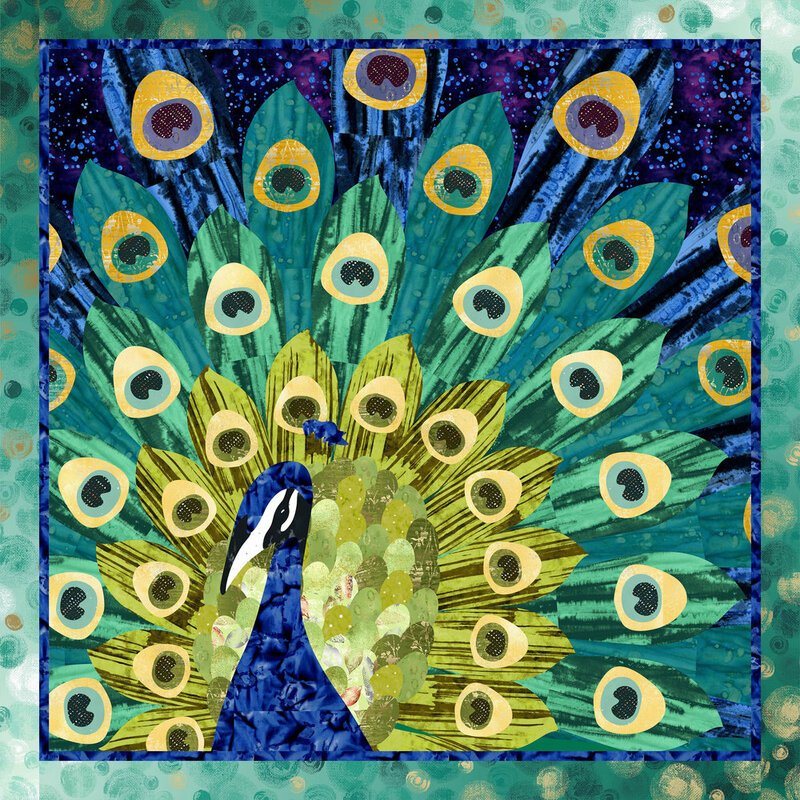 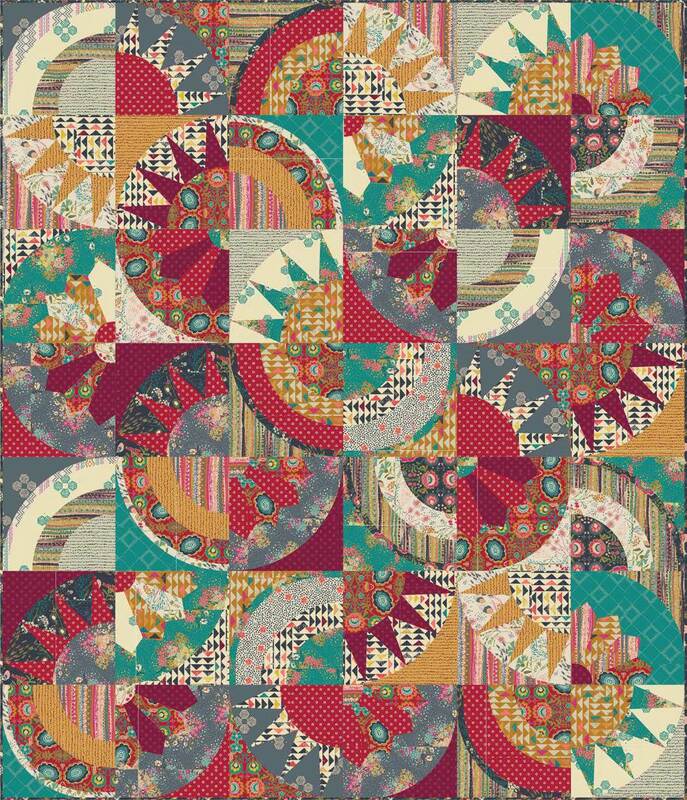 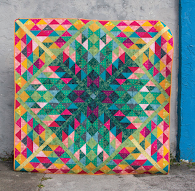 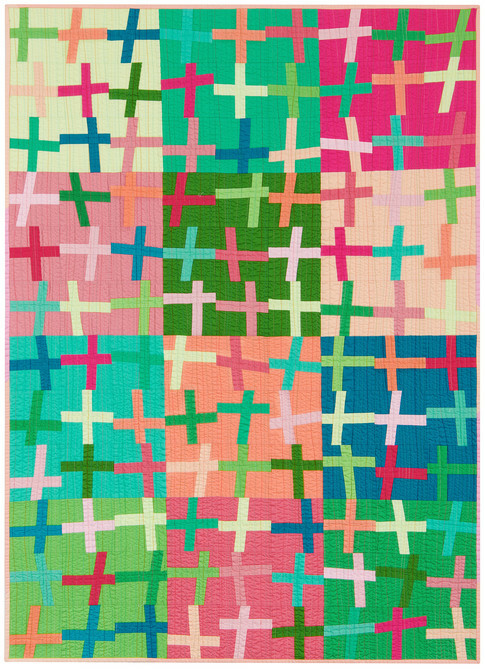 The "St. Augustine" quilt was inspired by a photo taken by the quilter. Susan says, ﻿On a visit to St. Augustine, Florida, I was captivated by the beeautiful Spanish Renaissance architecture of Flagler College and the towering dome of the Presbyteriean Church. 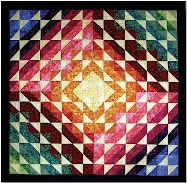 ...Visually, I was attracted to the contrast of the sun shining on the walls and the deep cool shadows. 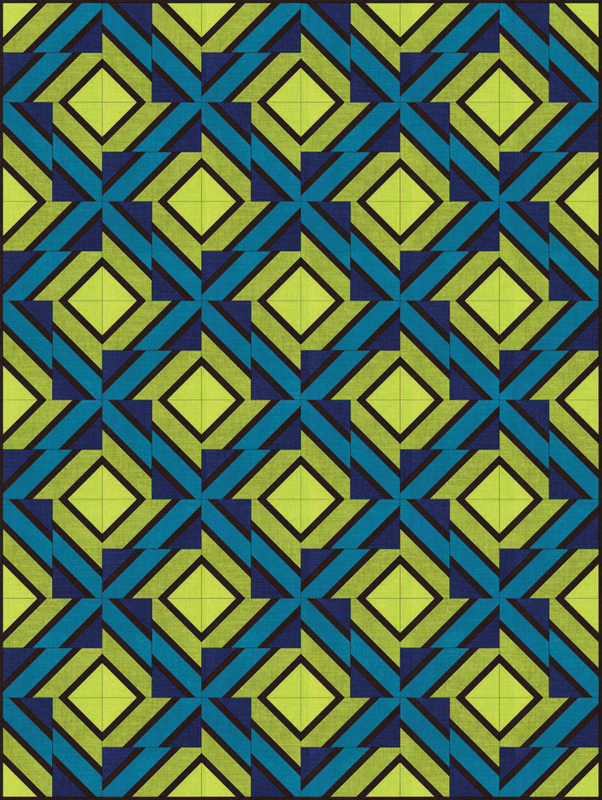 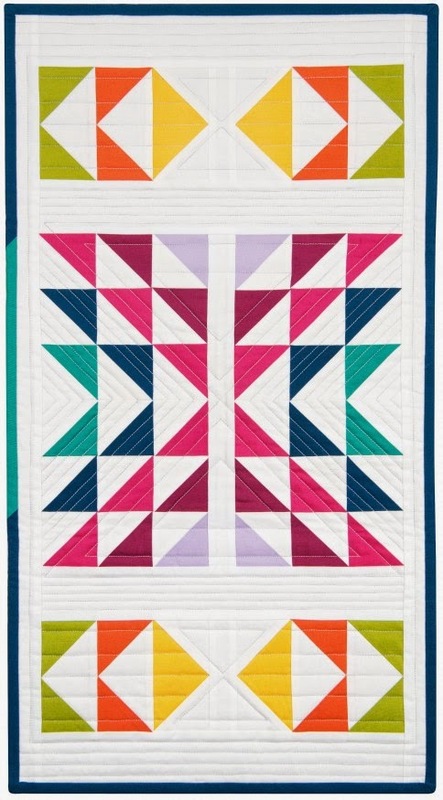 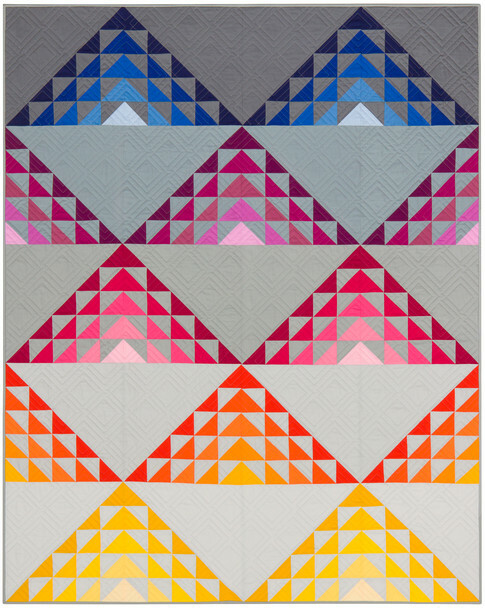 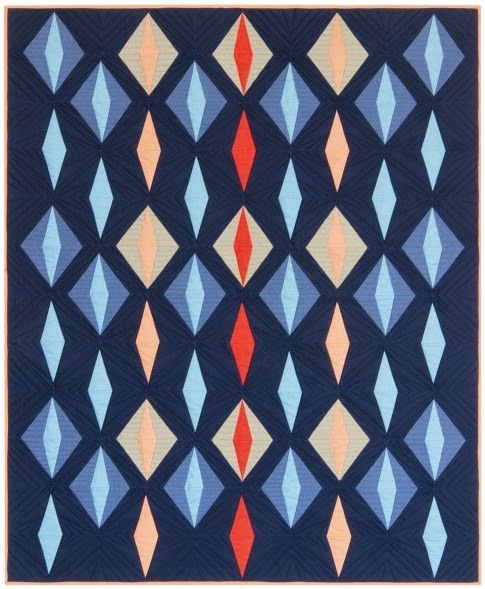 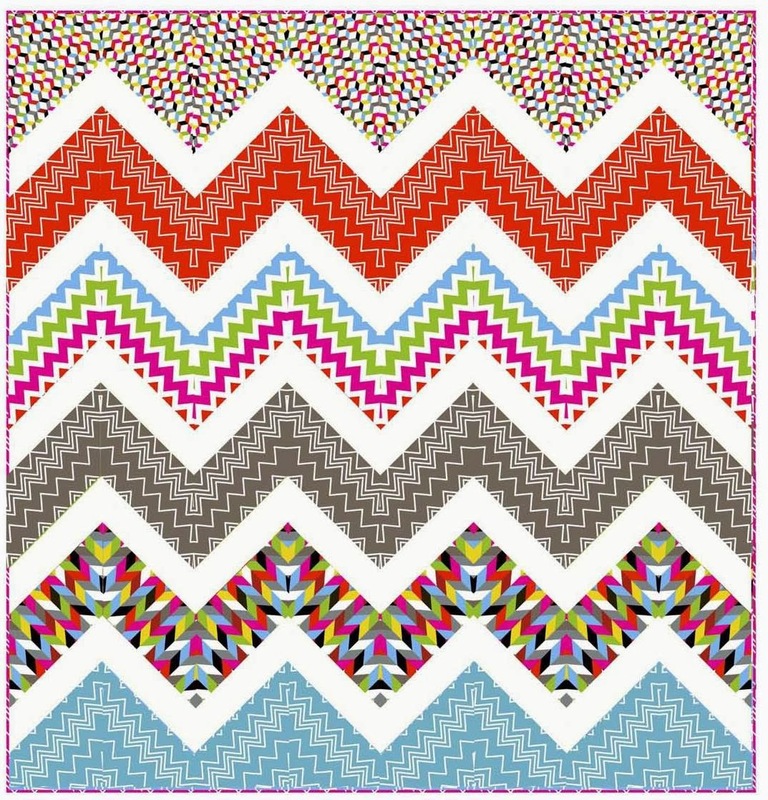 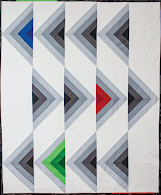 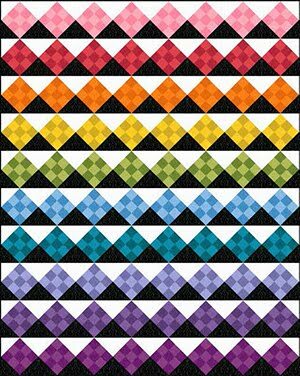 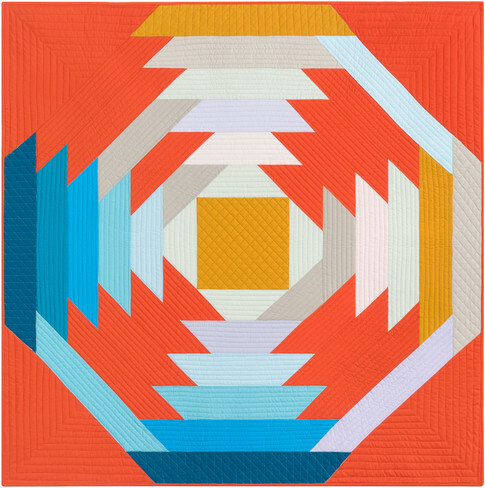 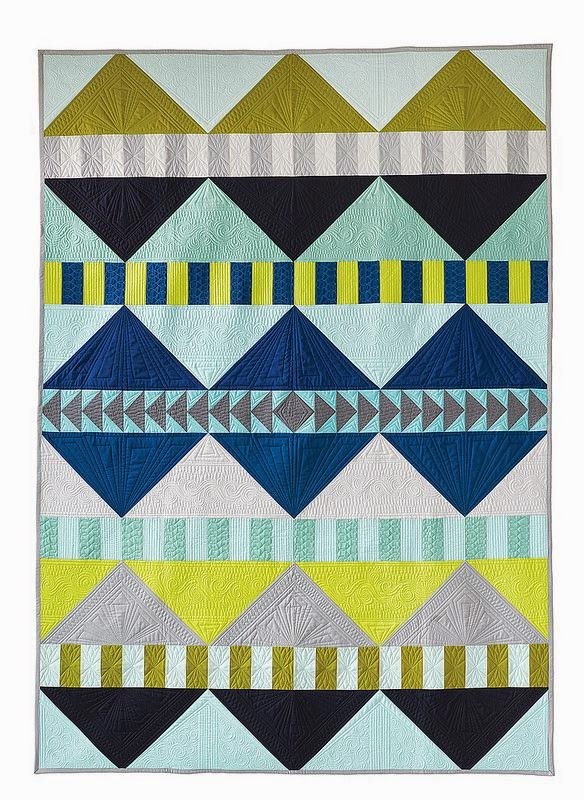 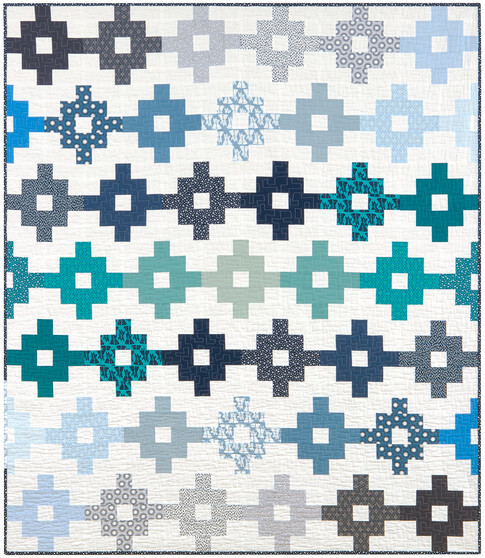 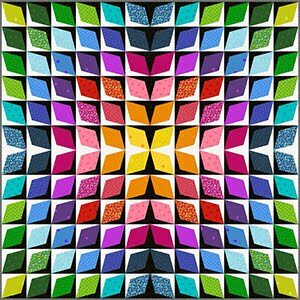 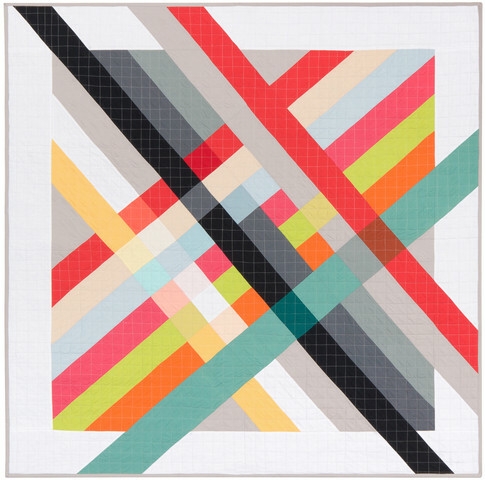 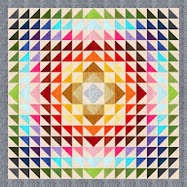 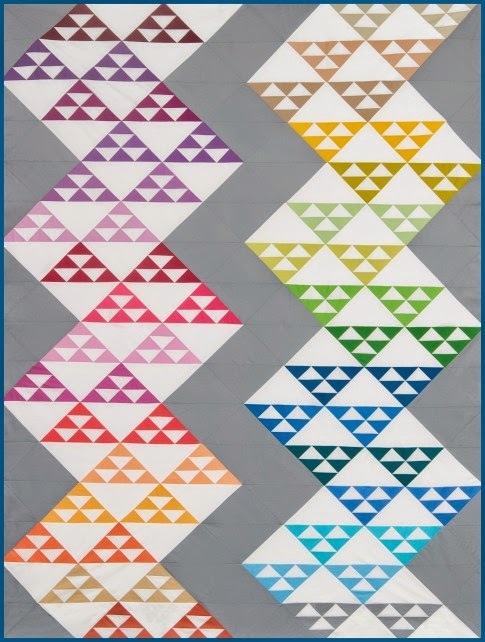 My love of architecture has inspired a number of quilts. 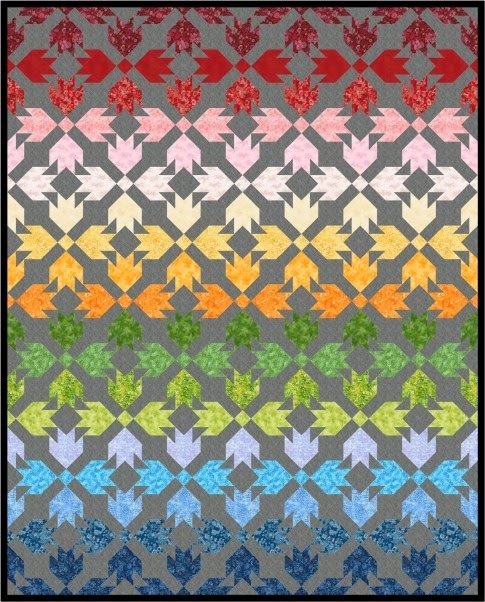 This is the most complex so far." 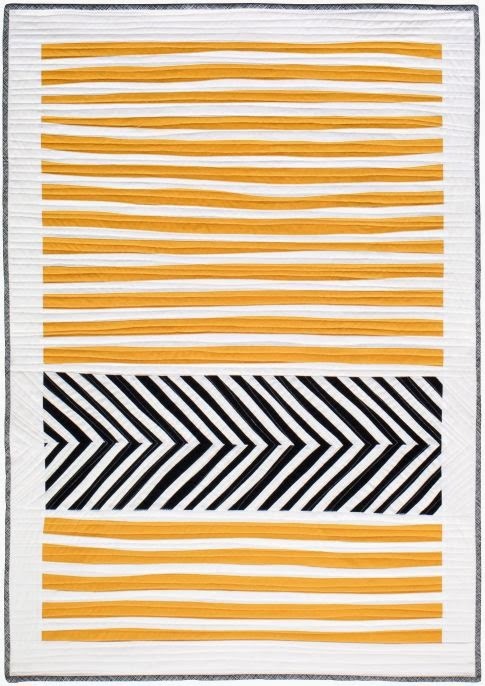 Here's another entry into the "Tactile Architecture" show-within-a-show that greatly impressed us with its flawlessly executed perspective, precisely placed lines, and realistic shadows. 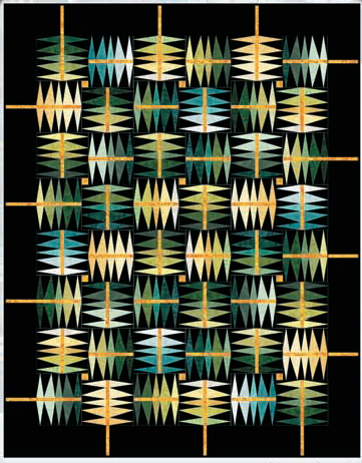 Terry states, "This design is based on photos I took of buildings in Vancouver, British Columbia. 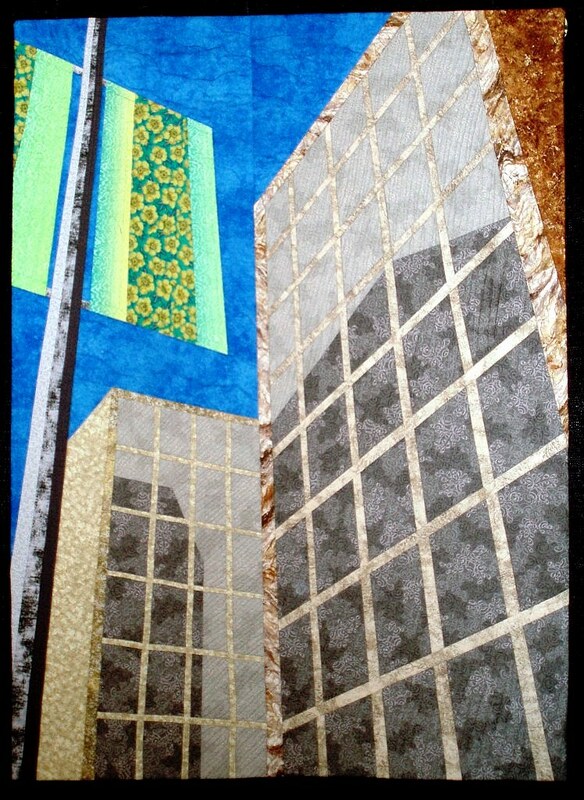 'Looking Up' shows a perspective view of the city buildings against a backdrop of deep blue sky. 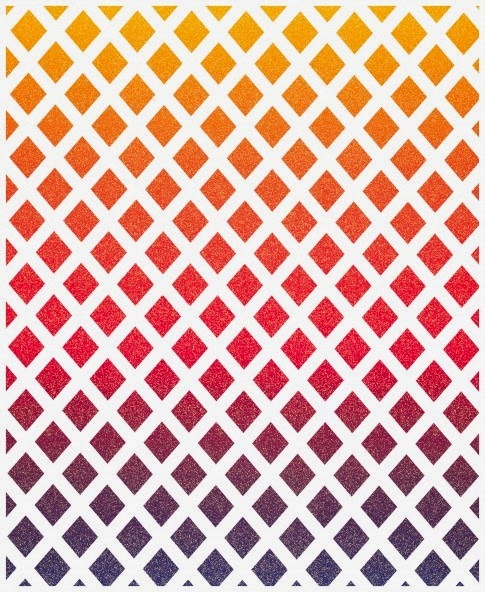 Walls of windows reflect the geometric shapes and architectural lines of other buildings. 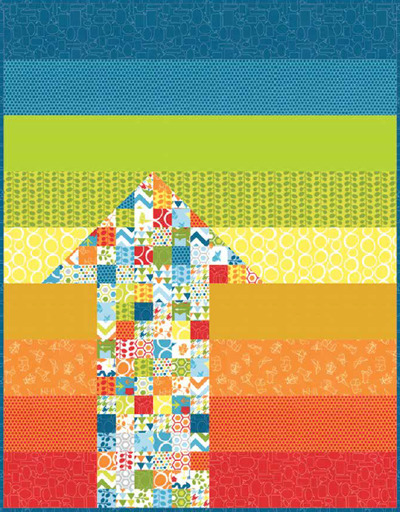 A colorful street banner provides contrast to the neutral tones of the stone, marble, and glass structures." 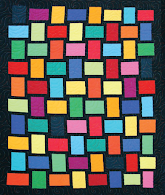 How many little building can you count on this unique and eye-catching work by Kathy York? 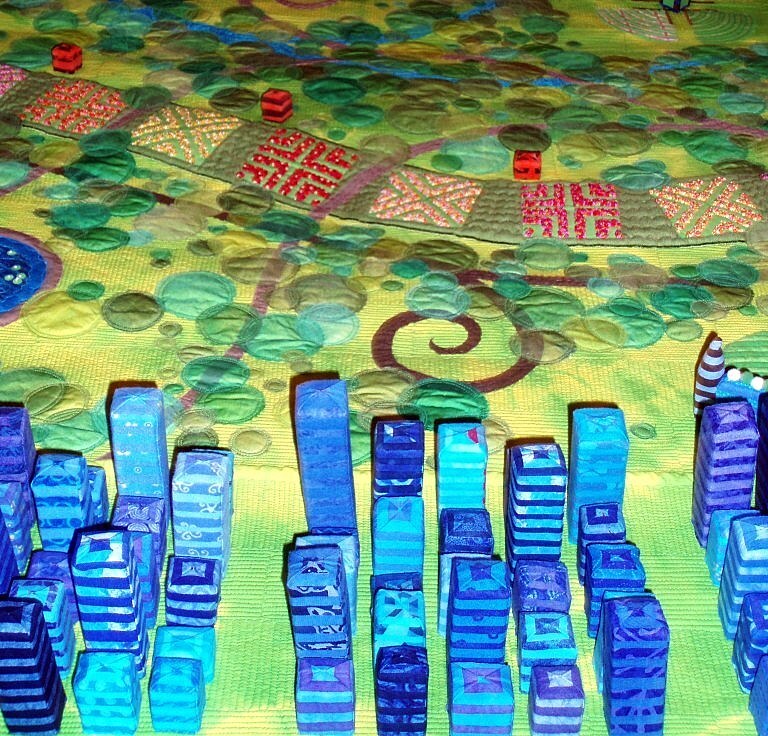 We counted 20 "neighborhoods" of 25 buildings apiece. 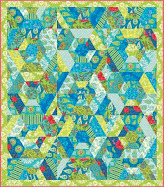 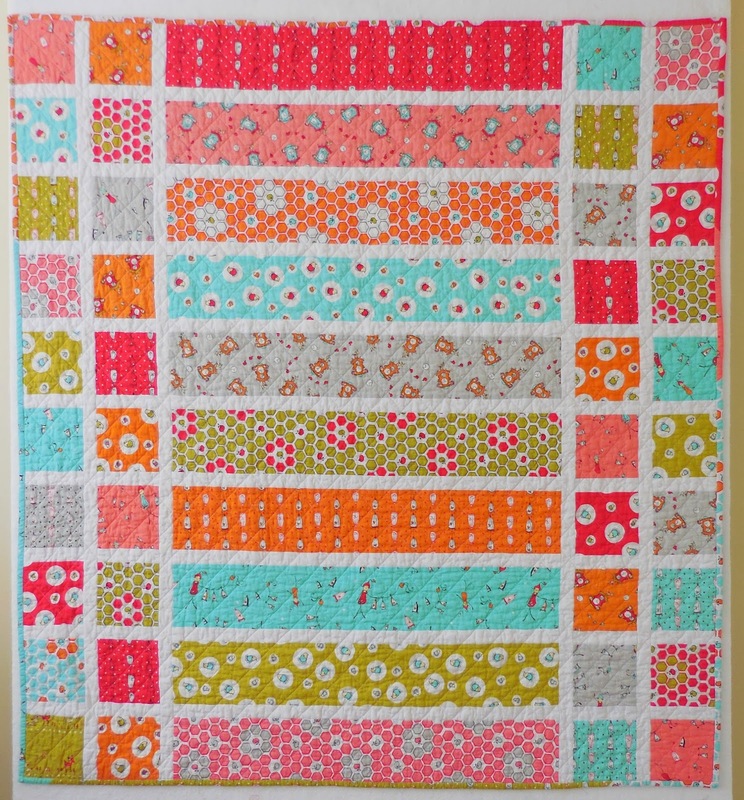 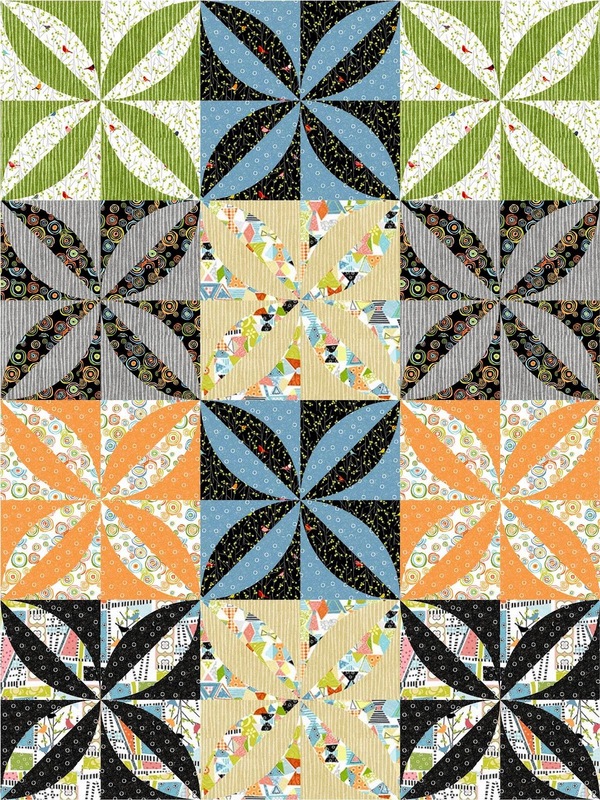 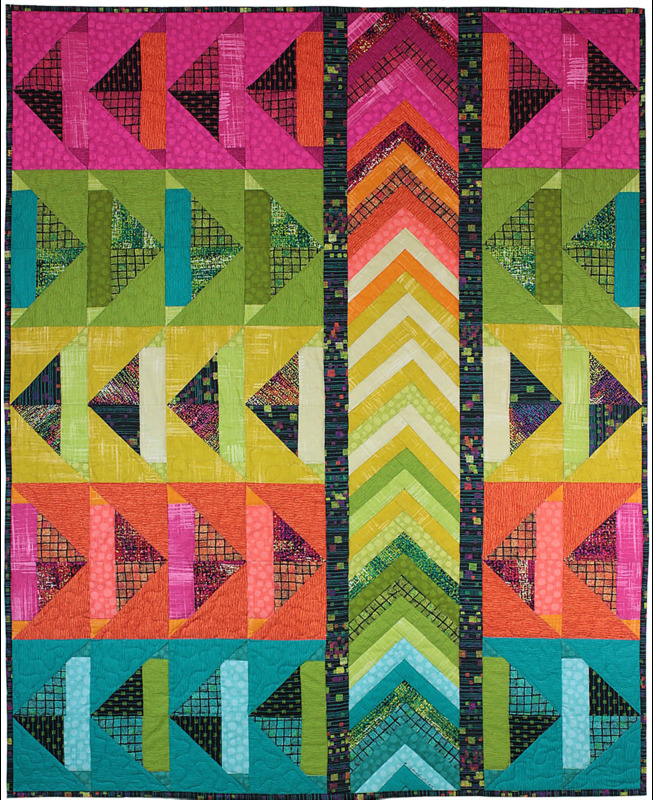 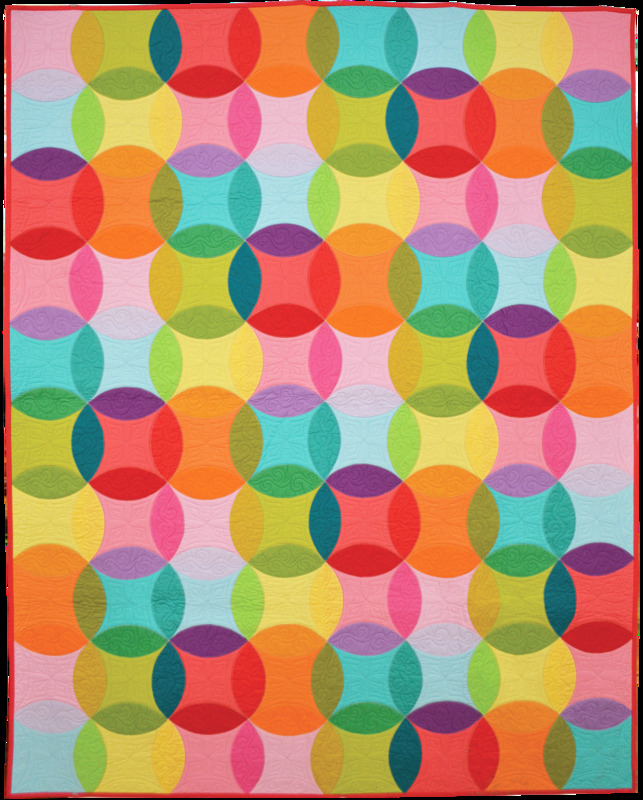 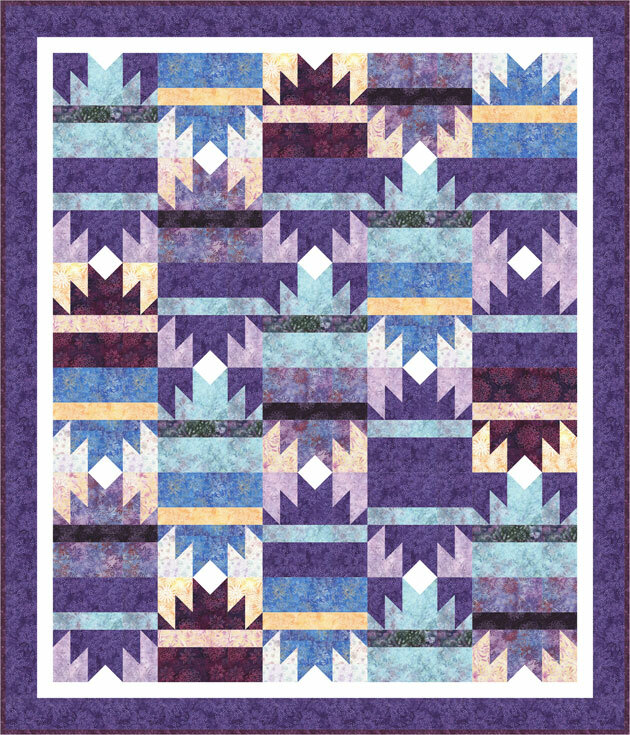 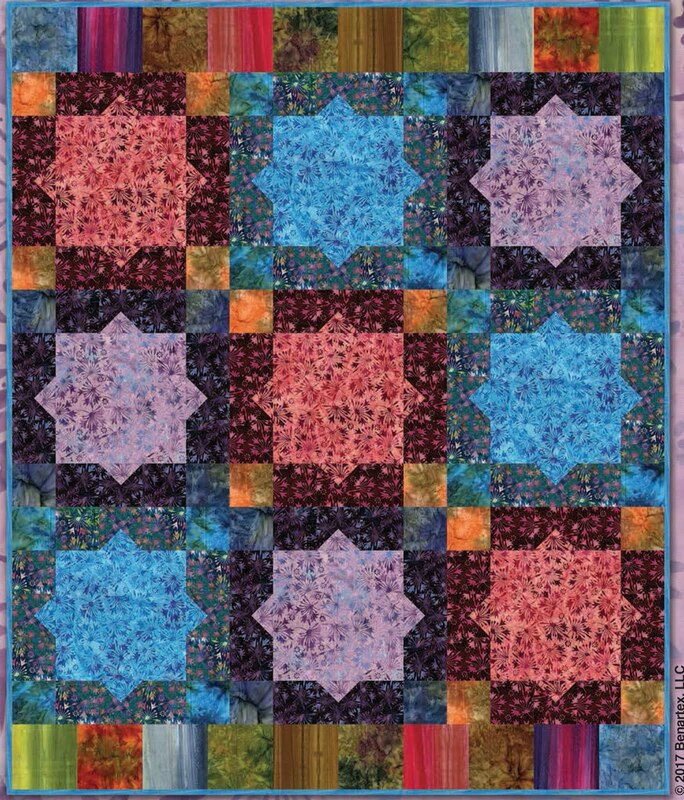 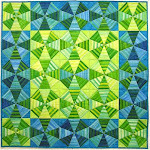 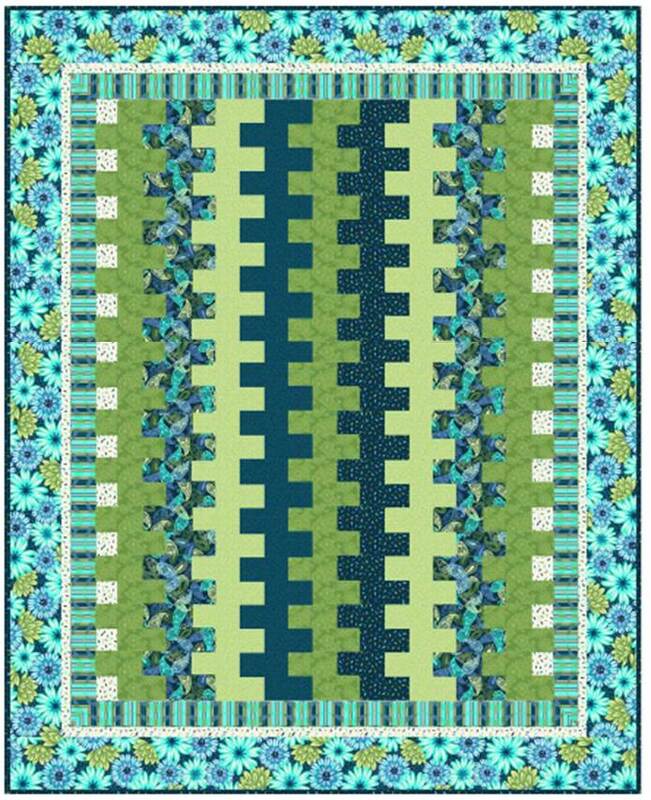 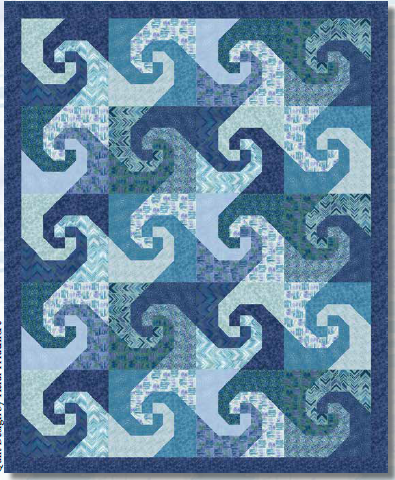 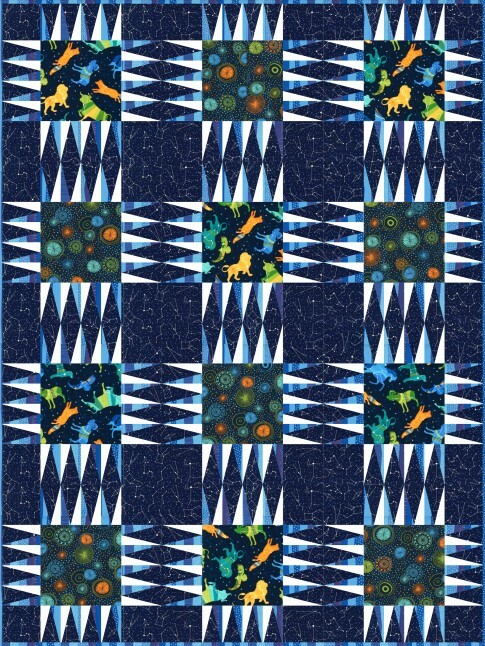 Kathy writes, " This quilt was inspired by a previous quilt I made called 'Little Fish in a Big City', another quilt with 3-D buildings. 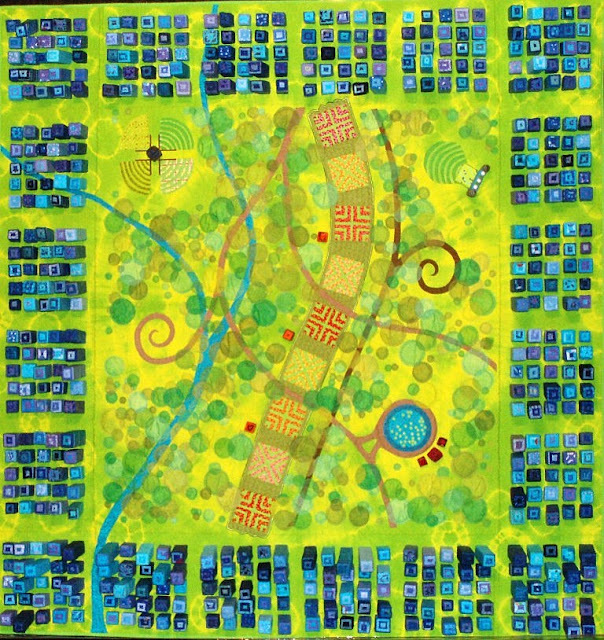 As communities grow and develop, it becomes easy to lose touch with the natural world. My favorite model of a city is one that incorporates a lot of green space, especially one with a central park. 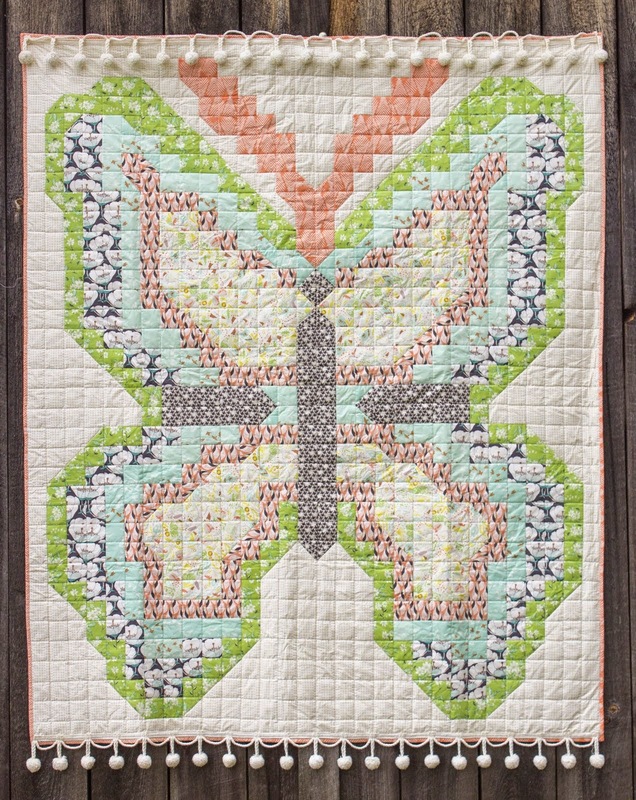 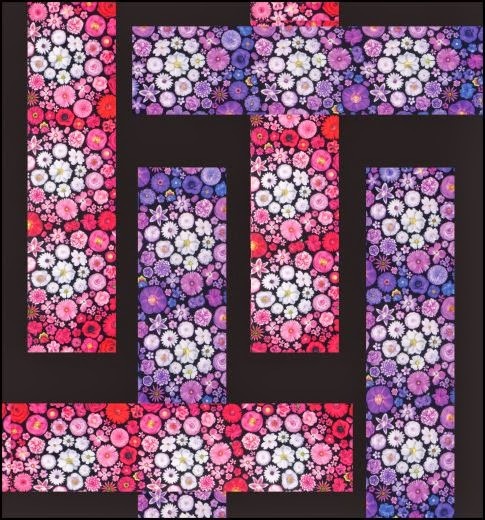 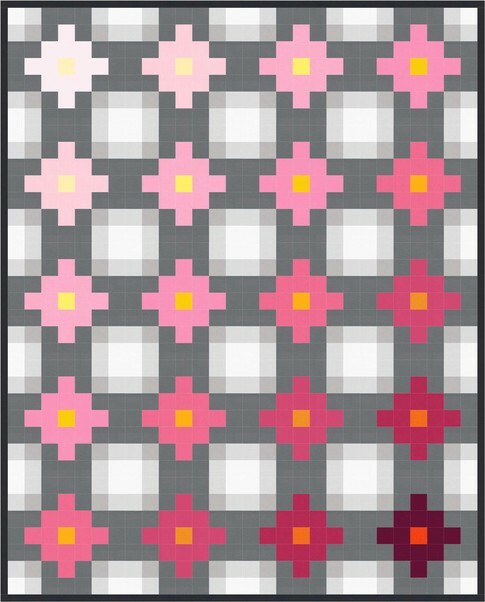 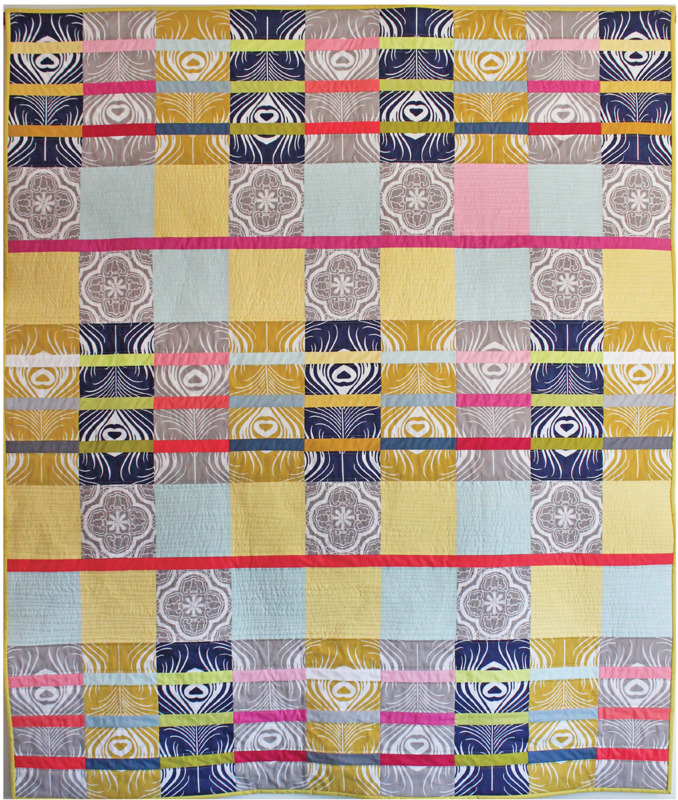 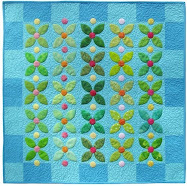 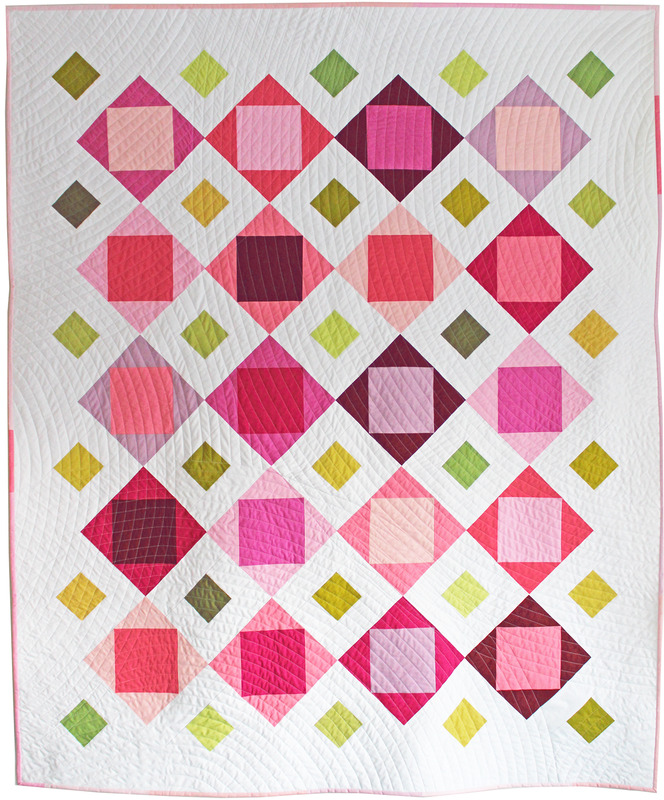 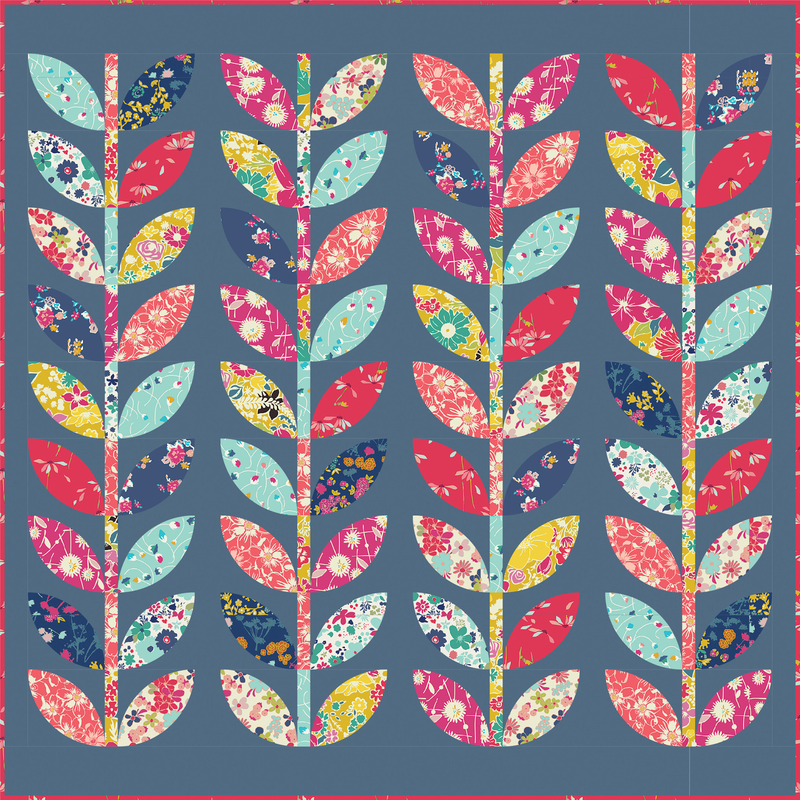 This quilt pays homage to the trees, flowers, and green spaces that invite us back to our roots." 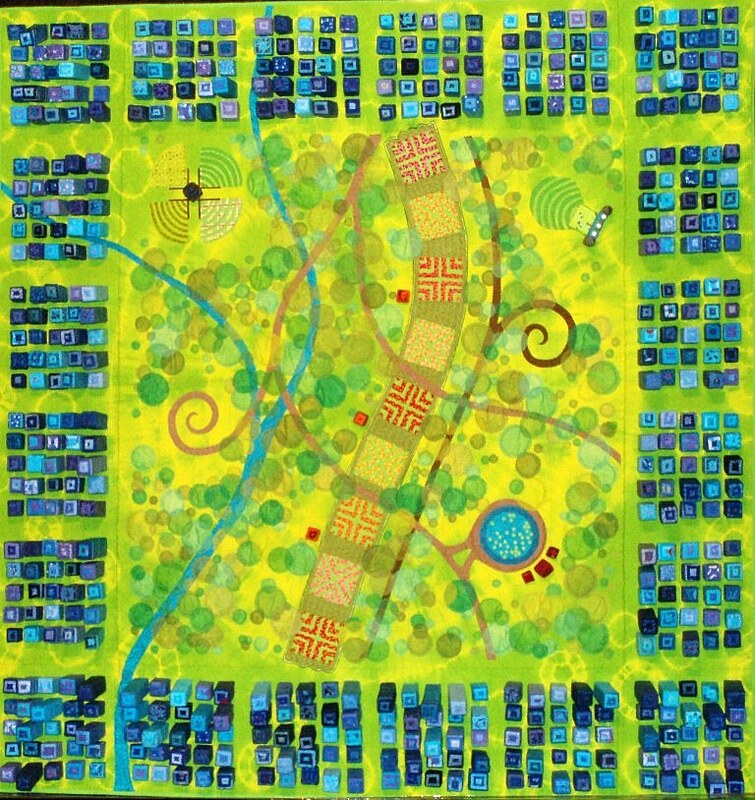 "Central Park" was also included in the "Tactile Architecture" show. 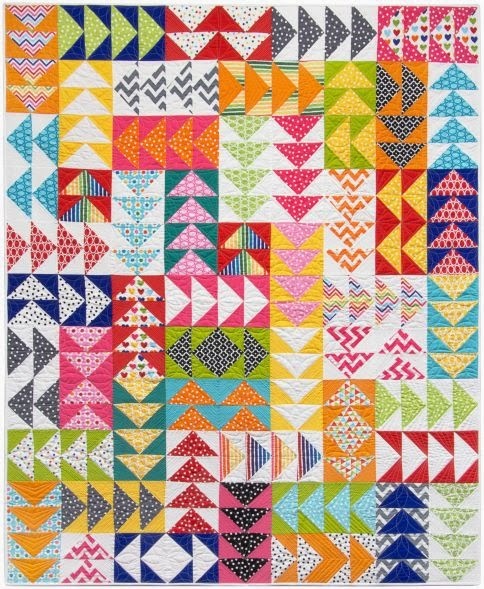 Each one of these buildings is actually a fabric-wrapped cubed rectangle which is attached to the base of the quilt and which stands up 2"-3" from the surface. 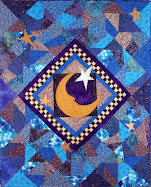 To create this fascinating and very unique work, Kathy used an amazing variety of techniques, including shibori, over-dying, hand-dying, fused applique, machine piecing, hand applique, machine quilting, and hand embroidery. 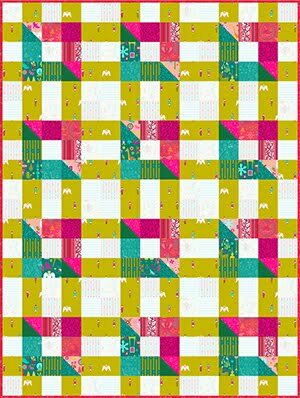 Winners of the February Giveaway !